The Avanity 28-inch x 32-inch poplar wood framed mirror features a contemporary chilled grey finish and a simple clean design. It matches with several collections (Brooks, Modero, Tribeca) for a coordinated look and includes mounting hardware for easy installation. The mirror hangs horizontally and vertically. Simple wood frame mirror, finished with textured black finish, sealed with 7 layers of protective sealant to ensure water proof surface. The mirror a high quality 0.6" thick mirror prevent rusting against bathroom, and it comes with all mounting hardware. Wood * Black * NA * Mounting hardware included * Faucet and mirror not included Faucet and mirror not included. Professional installation recommeneded. Transitional 32-inch L x 28-inch W Framed Wall Mirror in Chilled Grey The Avanity 28-inch x 32-inch poplar wood framed mirror features a contemporary chilled grey finish and a simple clean design. It matches with several collections (Brooks, Modero, Tribeca) for a coordinated look and includes mounting hardware for easy installation. The mirror hangs horizontally and vertically. 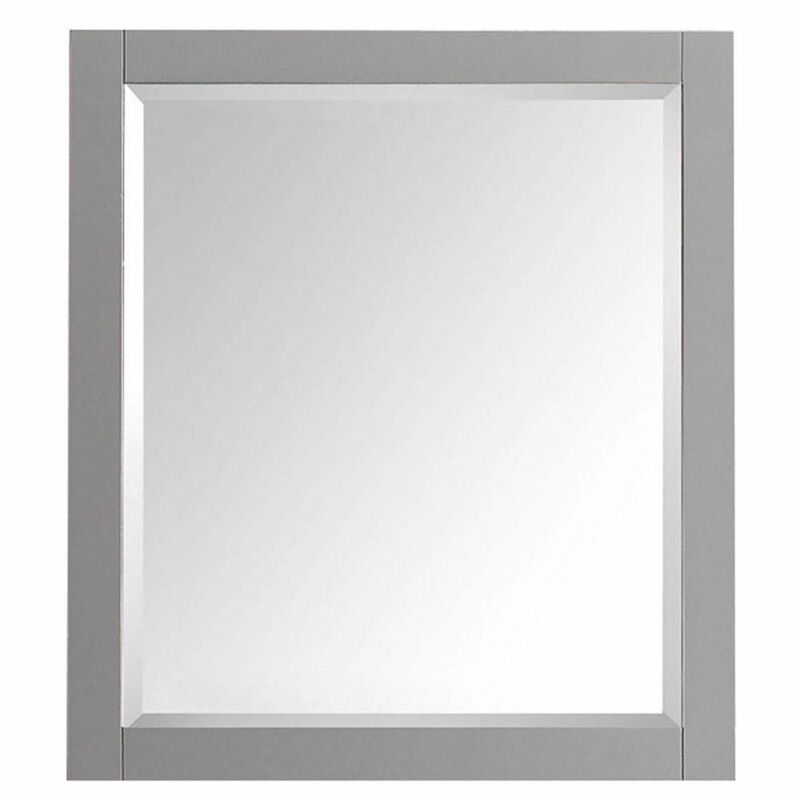 Transitional 32-inch L x 28-inch W Framed Wall Mirror in Chilled Grey is rated 4.7 out of 5 by 3. Rated 4 out of 5 by Sald from I really like the color and the material used in the mirror. I would give it a 5 but the seams co... I really like the color and the material used in the mirror. I would give it a 5 but the seams could be better. Nice quality. I have only had this for 2 weeks. I am not quite finished with the overall remodel of bathroom but it will look great when done.